On December 23, 2010, the CMS issued an advance notice of proposed rule-making regarding the creation of two new policies under the Emergency Medical Treatment and Labor Act. The CMS is requesting comments regarding the possible need to revisit current policies relative to the applicability of EMTALA to hospital inpatients and the responsibilities of hospitals with specialized capabilities, respectively. EMTALA imposes specific “anti-dumping” obligations on certain Medicare-participating hospitals and critical access hospitals. For example, the hospitals have certain obligations relative to individuals who come to a hospital’s “dedicated emergency department” and request examination or treatment for a medical condition. These obligations apply to all of individuals, whether or not they are Medicare beneficiaries or whether they have health care coverage. EMTALA requires dedicated emergency departments to perform medical screening examinations for individuals who come to the hospital and request examination or treatment for a medical condition. If an emergency medical condition is found to exist, the hospital is obligated to provide that individual with either necessary stabilizing treatment or an appropriate transfer to another medical facility where stabilization can occur. Hospitals also have certain obligations under EMTALA to accept appropriate transfers from other hospitals. Hospitals with specialized capabilities or facilities (such as burn units, shock-trauma units, neonatal intensive care units or with respect to rural areas, regional referral centers as identified by the Secretary in regulation) are not permitted to refuse to accept an appropriate transfer of an individual who requires these types of specialized capabilities or facilities if the hospital has the capacity to treat the individual. The current proposed rule-making notification concerns patients who have already been admitted to one hospital but after admission require the specialized care of a specialty hospital to stabilize an emergency medical condition. The obligations regarding specialty hospitals to patients who have already been admitted to other hospitals have been in a state of flux since 1999, when the United States Supreme Court considered the case of Roberts v. Galen of Virginia, 525 U.S. 249 (1999). That care addressed whether EMTALA applies to hospital inpatients. As a result of that case, the United States Solicitor General advised the Court that regulations would be developed clarifying HHS’s position on this issue. CMS proposed these regulations in 2002. The 2002 proposed rule proposed that EMTALA continued to apply to admitted individuals who were not stabilized but did not otherwise apply to inpatients. However, it was clarified that EMTALA obligations would continue to apply to individuals whose conditions go in and out of apparent stability rapidly and frequently. The 2002 proposed regulations would not have extended the EMTALA requirements to stabilized inpatients even if they subsequently become unstable. This policy was changed in the final rule which provided that EMTALA did not apply to any patient that presents with an emergency medical condition and is stabilized or when the hospital admits the patient, even though the patient may not be completely stabilized when admitted. The end result of the 2003 final rule is that EMTALA does not apply to any inpatient, even one who was admitted through the dedicated emergency department, for whom the hospital had initially incurred an EMTALA obligation to stabilize, even in cases where the patient remained unstabilized after admission as an inpatient. Further information was provided as part of the 2008 IPPS proposed rule which provided additional discussion and “clarification” regarding the responsibilities of hospitals with specialized capabilities to accept appropriate transfers of hospital inpatients. CMS stated in 2008 that the obligation of EMTALA does not end for all hospitals once an individual is admitted as an inpatient of the hospital where the patient first presented with the emergency medical condition. CMS’ position was that the admission only affected the EMTALA obligation of the hospital where the patient first presented with the emergency medical treatment and was subsequently admitted. Specialty hospitals were obligated to accept transfer requests of unstable patients with emergency medical conditions as long as they have treatment capacity, even in cases where the patient has already been admitted to the initial hospital to which the patient presented. CMS reasoning was that an inpatient admission at the admitting hospital did not end the EMTALA obligations of the specialty hospital and would contradict the intent of EMTALA to assure that specialty hospitals use their available specialty treatments to stabilize patients. After receiving voluminous comments regarding the imposition of this obligations on specialty hospitals, CMS backed down when it issued the final IPPS rule in August of 2008. The final policy in 2008 was to end the specialty hospital’s EMTALA obligation as to an individual with an emergency medical condition upon admission to the facility to which the patient initially presented. The specialty hospital’s EMTALA obligations were ended upon the initial admission even if the patients condition remained unstable following admission. CMS cited as part of its justification for this reversal that the previously stated policy could negatively impact patient care by increasing inappropriate transfers. CMS also stated concern that the new policy could cause some facilities to limit the care that they provide which would reduce the emergency services available in the community. Concern was also stated that patients that were admitted for elective procedures would not have the same right to transfer if their condition subsequently required. CMS’ current notice of rule-making results from awareness that there continues to be varying opinions on whether EMTALA obligations continue once a patient is admitted or whether EMTALA obligations continue for patients who are not stabilized and require the services of a specialty hospital. The current notice of rule-making asks for comments that address whether the existing rules should be revisited. CMS requests “real world examples” to demonstrate whether it would be appropriate to revisit the rules. CMS also requests information regarding situations where specialty hospitals have refused to accept the transfer of a patient in need of their care for stabilization. Comments on this rule will be accepted until February 22, 2011. 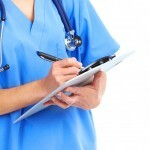 You are currently browsing the Health Law Blog blog archives for December, 2010.